Legalization efforts are alive again in Maine. On Friday, the Campaign to Regulate Marijuana Like Alcohol announced that legalization efforts have been resurrected after a Superior Court judge ruled that state officials improperly disqualified a legalization ballot measure. 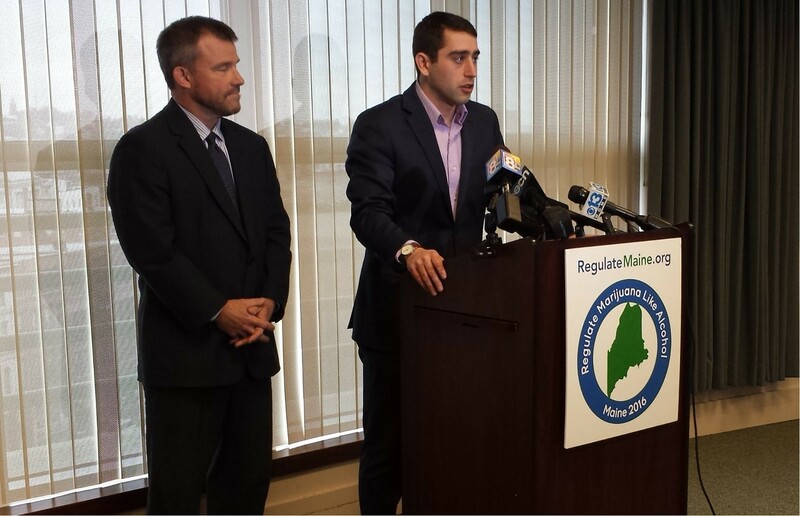 Scott Anderson and David Boyer from the Campaign to Regulate Marijuana Like Alcohol. Maine was percieved as one of the states most likely to legalize cannabis in the 2016 election until Secretary of State Matthew Dunlap said March 2 that the Campaign had failed to gather the required 61,123 signatures needed to qualify the measure. Dunlap said the Campaign had fallen about 10,000 signatures short after his office invalidated more than 5,000 petition forms that included over 26,000 signatures. Initiative supporters filed a lawsuit on March 10. Last Friday Kennebec County Superior Court judge Michaela Murphy sided with the pro-marijuana legalization plaintiffs. "The court finds that requiring a notary to perfectly reproduce his or her commission signature in light of these realities is unduly burdensome to this absolute constitutional right to initiative," Judge Murphy wrote in her decision. “Justice Michaela Murphy found that state officials invalidated more than 5,000 petitions — which included more than 17,000 signatures from Maine voters that were validated by town clerks — without actually reviewing every petition in question. The Secretary of State’s Office must now review all of the disputed petitions and place the initiative on the November ballot if it determines enough valid signatures were collected,” a Campaign press release states. "We are extremely pleased with the court’s decision to send our initiative back to the secretary of state for re-review," said David Boyer of the Campaign to Regulate Marijuana like Alcohol. "As was the case when we submitted our signatures to the secretary of state originally, we know that a sufficient number of registered voters signed the petition to qualify for the ballot. So this re-review should now be a mere formality. Once the Secretary of State’s Office has completed its work, we look forward to launching the formal part of our campaign and educating Maine voters about the benefits of regulating marijuana like alcohol,” Boyer said.